Obviously I have been at a loss for words about eBay for some time. My passion for the platform has waned, I no longer follow what happens or what rules have changed or why the fee structure has gone here or there, on a day to day basis. It is just too time consuming and really the return for me is not equitable. 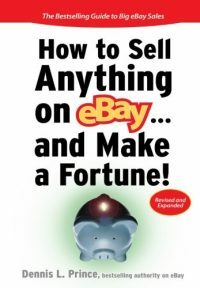 I ended my eBay oriented services about 6 months ago and I have turned away clients who only want help to start selling on eBay as a business. I do this simply because it does not help me or my reputation to be associated with the name eBay. I know that is a strong statement, and that a lot of fine people make a good living by providing training and advice and third party tools to the eBay selling marketplace... I commend all of you who keep up the fight. Unfortunately I have been put in the position of trying to rationalize irrational rules, ridiculous business practices and the odd behavior of a huge corporation who seems so out of touch with it's core customers, one time too many. In my mind, I do not need to be placed in the middle of good honest sellers and a company that acts as eBay does towards those sellers. This is not a new development, obviously I have not spent much time here on the TAJ within the last 6 months writing or offering opinions about eBay. Of course I miss that challenge, but when you are frustrated with the subject matter, it is difficult to come up with commentary without sounding like the negative fool. Better to say nothing at all.... Right? I also have been deeply involved with other projects and really do not have the time for eBay commentary. 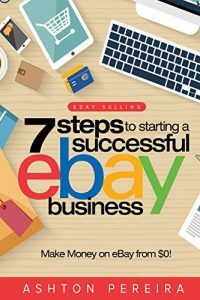 While, I still receive several calls per week from people wanting me to help them with eBay sales, I gently try to share with them other ways to approach online marketing and then I let them go on about their business. My business is no longer involved with eBay other than to sell an odd item or two from time to time like any casual seller. iBusinessLogic actually has never been better since I made this strategic change in my business plan. We have multiple projects working and I have a waiting list of clients for web development. I appreciate everything that the eBay community shared with me over the years and I cherish all of the real friendships I developed, including many within the eBay organization. But business is business and eBay does not need my help, conversely I find that I also do not need theirs. I hope this is not the end of the Trading Assistant Journal, but as it was an eBay centered publication, the current environment is not primed for growth. I do enjoy Bonanzle, and I am still working on BonanzleStores.... But if you are looking for up to date eBay information, I am afraid you will need to go enjoy some of the other fine blogs and websites out there dedicated to such things. For me, it has been a long and winding road, but my eBay life has ended. Good Bye. The online sales community has indeed changed, but there is still a need for those people eBay calls “Trading Assistants”. Consignment sellers have been around long before eBay, and likely will still exist long after eBay has faded into business history. Some of my clients desired to be eBay-centric, and apparently I was hired only to “show them the ropes”, not to educate them on the best way to use the platform as part of a larger online sales plan. But the clients that have stayed with me are those interested in achieving a goal – be it starting their own business, growing an existing business, or just dealing with the excess inventory that can accumulate over time. These clients don’t really care about venue — they care about results. So I help them locate the tools needed to make multi-venue selling more profitable… help them understand SEO basics…. help them navigate this ‘brave new world’ that not everyone fully understands. Or wants to. So I say – Goodbye TAJ, but perhaps Hello to Consignment Seller’s Journal? I’ve enjoyed the reading, and the commentary (my own and especially that of others). Why let a good thing die, when it really only needs a bit of tweaking in direction? Whatever your decision, congratulations on your success to date, and may you have more in the weeks, months, and years to come! Why let a good thing die when it only needs a bit of tweaking? Perhaps because the ROI (both time and money) is insufficient to support a gerbil, never mind a family. If something no longer works the smart person stops trying to make it work and moves on. I believe I have explained myself quite well in the post. 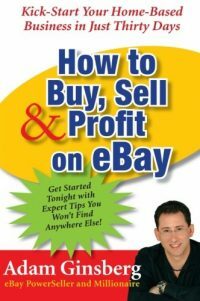 I also know that I no longer have the time or passion to expend on writing about eBay on a daily or even weekly basis. My web development business is taking up every moment of my day (and sometimes nights). A problem I am really very pleased to have. I could comment about all the negatives involved with the subject matter, but that would just repeat what has been said here and elsewhere for many years now. I may find other topics for the TAJ, but with it’s roots in eBay I don’t really know if anyone will read non-eBay related subject matter here. Of course, the site is not going anywhere, and I could change my mind at some point. But I have given myself several months to become re-inspired with researching and writing about eBay and it has obviously not happened.